It wasn’t your typical information meeting. The couple inquiring about international adoption had a nine member video crew accompanying them. A normal day for Jen Arnold and Bill Klein, of the TLC reality show The Little Couple, but quite a departure for the staff at Children’s Hope International. The lights and cameras didn’t deter the famous husband and wife from discussing their opportunities in international adoption with Tina Qualls of Children’s Hope. As she does with all interested families, Qualls gave Jen and Bill a detailed timeline of the adoption process and all the requirements needed to complete the pre-adoption paperwork. This The Little Couple segment is a continuation of the show detailing Jen and Bill planning a family. After their heartbreaking attempts with a surrogate during last season’s episodes, they are now looking into adoption. The Little Couple show about this trip to St. Louis will air this fall. She smiles, laughs, and will bump fists as a greeting. It is normal behavior for a 2 year old but extraordinary for an orphaned child with special needs, who was recently adopted from China. Tia loves to sink her face into her cupped hands to play hide-and-seek. She also relishes wagon rides provided by her big brothers. 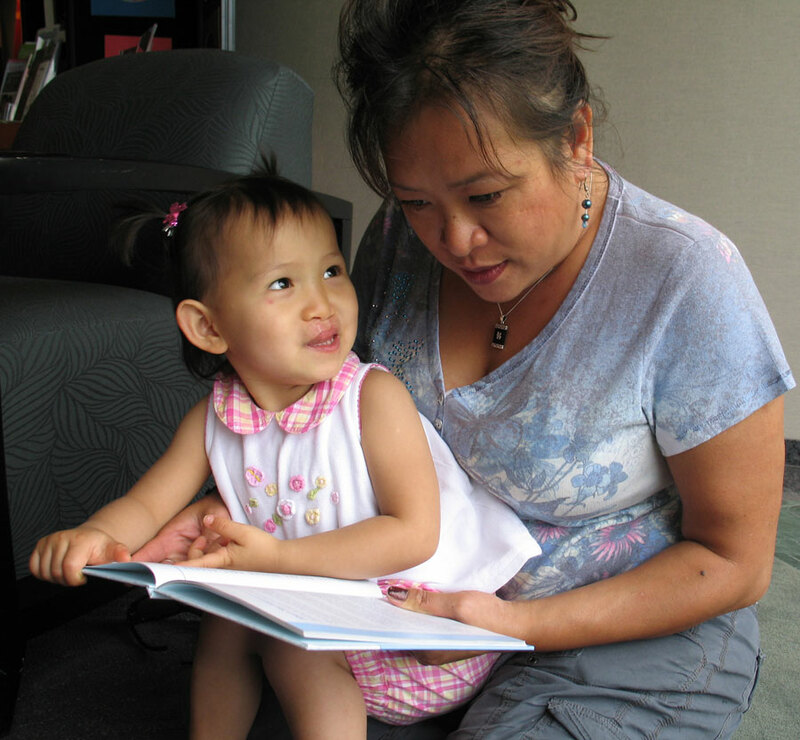 She is quickly adapting to her new Missouri family since her special needs adoption from a Chinese orphanage in December. “She was just what our family needed,” said Amy Soar, Tia’s mother, when explaining that her home with two boys, 10 and 6, was in desperate need of a little girl’s influence. Tia has a surgically repaired cleft lip and palate so she has some challenges and more surgeries ahead. But her bright eyes and playful personality help her express what her newly obtained English words don’t quite communicate. The entire adoption process for the Soar family, from application to flying to China, took 18 months. 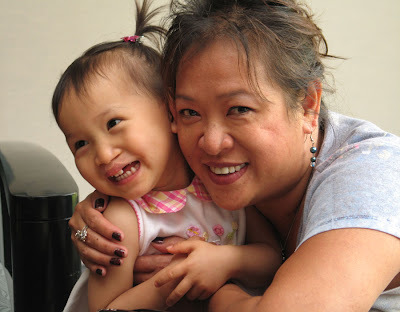 Amy and her husband Eric, had decided to adopt a child with special needs early in their process with Children's Hope International, because of the nearly six year wait in the standard China adoption program. Adoption of a Chinese orphan with special needs can take as little as a year. Amy says she purposely chose to adopt a child born with a cleft lip and cleft palate because she works in the dental field. Her professional contacts have become vital to her when she has questions about treatments her daughter may need. “I have ongoing support from my colleagues and I can go to them to answer questions,” Amy said. Amy also understands how adoption can enrich a child’s life. As an infant orphaned during the Vietnam War, Amy was one of the thousands of babies airlifted to new homes toward the end of the war. She says her own adoption gave her the desire to adopt a child. As little Tia grows older, and becomes more inquisitive about why she was adopted, Amy says she feels equipped to comfort and assure Tia because of their shared experience. But for now, Tia is simply asking for things that fulfill all her 2 year old needs, like, demanding that her brothers give her another wagon ride. She loves her new home.